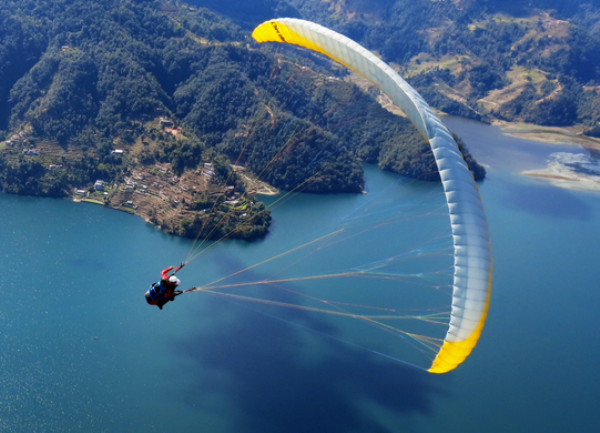 POKHARA, Oct 28 : The Pokhara Metropolitan has threatened to pull down the Paragliding in operation in Nepal’s lake city. It has threatened the Paragliding entrepreneurs who have not paid tax since three years. Metropolitan city’s tax officer Shiva Hari Sharma informed that the entrepreneurs are still to pay 15 million rupees as tax and the Metropolitan has not renewed the license of those entrepreneurs. “We will give them some days time as warning and if they don’t pay the tax on stipulated time then the business will be pulled down,” Sharma said.